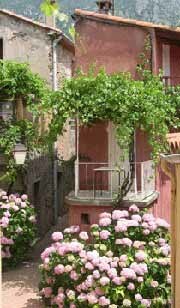 Vernet Les Bains is an attractive mountain spa village with many amenities. Situated at 650 m, at the foot of Mt. Canigou, it is surrounded by the peaks of the Eastern Pyrenees. Vernet Les Bains has 3 outdoor pools (a deep pool with diving board, a children's pool and a paddling pool for the very young), an indoor pool, Municipal Park & children's play areas. Clean spring water is used for the pools, which are just a five minute walk down the road from Villa des Mines. Other sporting facilities within the village include tennis courts, an equestrian centre & boules. In addition to the naturally occurring volcanic hot springs and treatments of the Spa Centre there is an aqua gym, sauna, Jacuzzi etc. 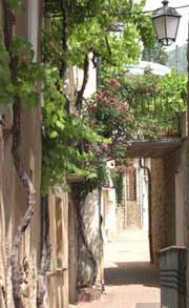 Vernet Les Bains has a special status as an Arboretum Village, with over 200 species of tree spread around the village. Three mornings a week there is a bustling market, held in the village centre, where you can buy local produce. 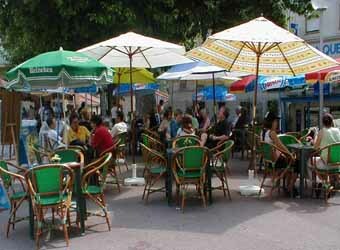 There is a wide range of shops, 3 café-bars & 6 restaurants, with many more in neighbouring villages. Village festivals are held throughout the year - just a couple of examples: in June, the fete de la St Jean sees torches lit at the summit of the Canigou. You can sit on the terrace and watch the torch-light descent to village level. The first Sunday in August sees the Championship of the Canigou. A 30 km race, from Vernet to the summit and back, first held in 1905. The local Vernet Les Bains tourist office site is well worth a visit. The Casino with bar & discotheque occupies an elegant Edwardian building, to the southern end of the village, situated in its own delightful public park. 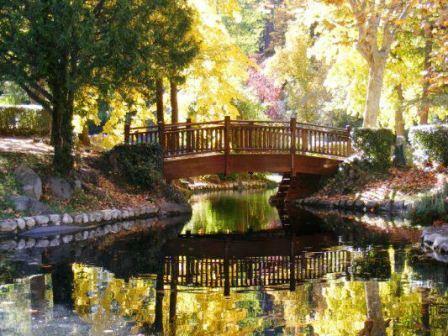 This park also houses a Geological Museum, with a remarkable collection of minerals and fossils (some 10,000 specimens).